That 1840s dope was evidently amazing gear, but after singing the praises of the high, Baudelaire quickly changes tack, warning of the indolence that will follow from having spent one’s vital energies. He then takes a moralist’s tone, condemning a substance that can endow so much apparent bounty without any work being done in return. Curiously he then compares hashish with wine, coming out in favour of the latter. ‘Wine exalts the will, hashish destroys it. 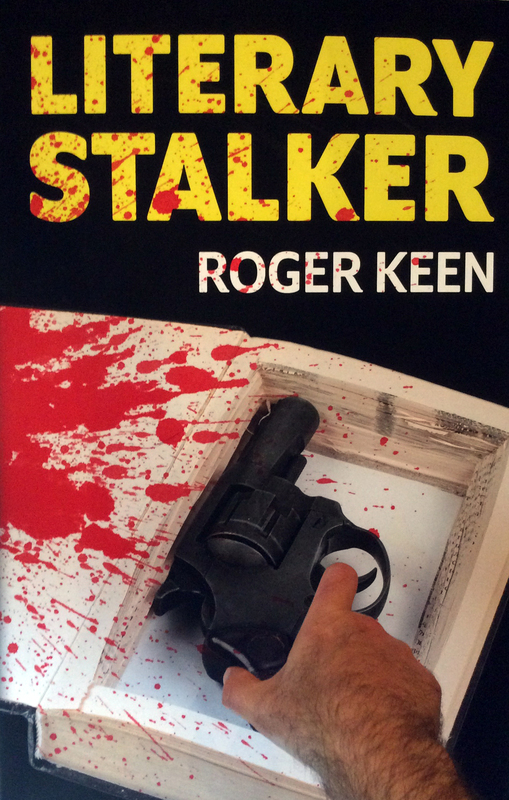 Wine is physically beneficial, hashish is a suicidal weapon.’ So, a marvellous account of the interior world of dope ends on a jarring note of ambivalence. 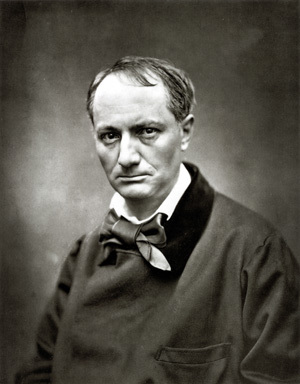 Later on in the 1850s, Baudelaire set about expanding the hashish section of ‘Du Vin et du hachish’ to form the first part of larger work: Les Paradis artificiels. The second part would deal with opium, drawing specifically on de Quincey’s experiences in Confessions of an English Opium Eater, of which Baudelaire was a huge admirer. Now, the two works are generally published together, under the title Artificial Paradises, writings on wine, hashish and opium, as is the case of the edition I’m using for this review. Though these sentiments jar with current cannabis enthusiasm, the writing is always lucid and perceptive, and indeed marvellous to read. 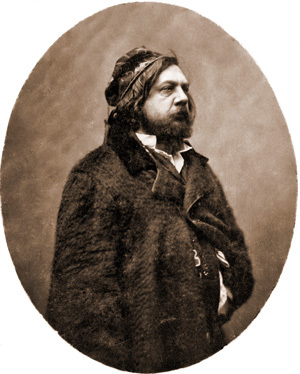 Between the lines, we discern Baudelaire’s personal disposition towards cannabis, in line with other elements of his fastidious character and quite different, say, to that of fellow hashischin Gautier, who was much more in tune with ‘hippy’ sensibilities, and indeed looked the part. 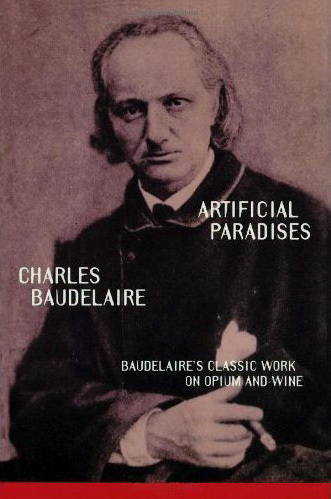 The second part of Artificial Paradises, ‘An Opium-Eater’, does not concern itself with Baudelaire’s own experiences of the drug, but instead takes the form of an analysis and appreciation of the de Quincey work, involving long passages translated by Baudelaire, effectively introducing the work to a French-speaking readership for the first time. Clearly Baudelaire adores the Confessions and his account takes the form of a paean from one literary artist to another. 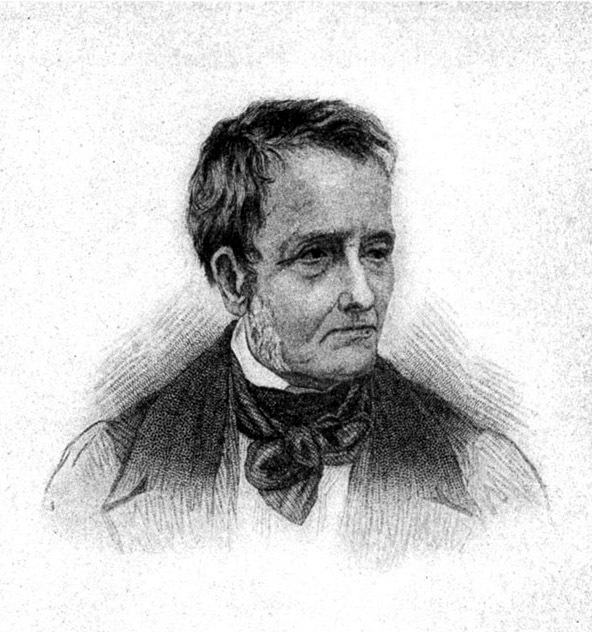 He looks at de Quincey’s early life—his separation from parental care due to the death of his father, his prodigy as a Greek scholar, his sensitivity and health problems—in order to show both his predisposition to opium and his brilliance in describing its effects. Then comes Baudelaire’s retelling of the two sections most familiar to us: ‘The Pleasures of Opium’ and ‘The Pains of Opium’, and this casts retrospective light on his writings about hashish and how the Confessions influenced him here. Seemingly Baudelaire styled his hashish accounts on the two-part de Quincey model, first the upside and then the downside, and from our modern perspective, understanding more about the pharmacology of both drugs, we can see how that model much better suits a truly metabolically addictive drug like opium, but far less so hashish, which for all its enchantments and possibly perils is not addictive in that way. Ultimately the value of Artificial Paradises lies in the depth and detail of its picture of how drug taking was perceived a century and a half ago, and on every page we’re reminded that Baudelaire, like Huxley, was a great writer, a master of language, and his ruminations and insights remain fascinating, regardless of how much or how little they align with our own.